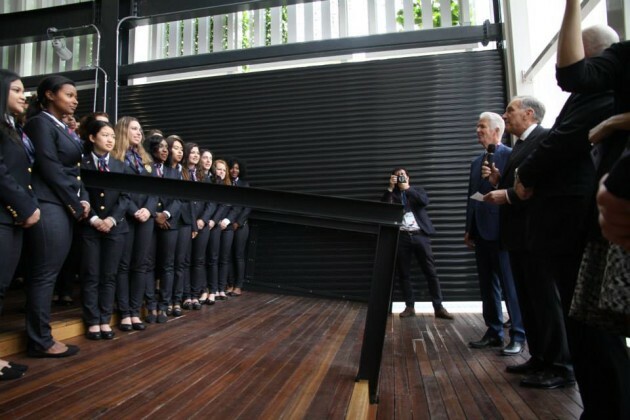 Milan, Italy /PRNewswire/ — Friends of the USA Pavilion Milano 2015 hosted the grand opening of theUSA Pavilion at Expo Milano 2015 on May 1. Welcoming the first of the world fair’s anticipated 20 million visitors, theUSA Pavilion opened its large hangar doors with an official ribbon cutting ceremony and remarks from United States Ambassador to Italy John R. Phillips. 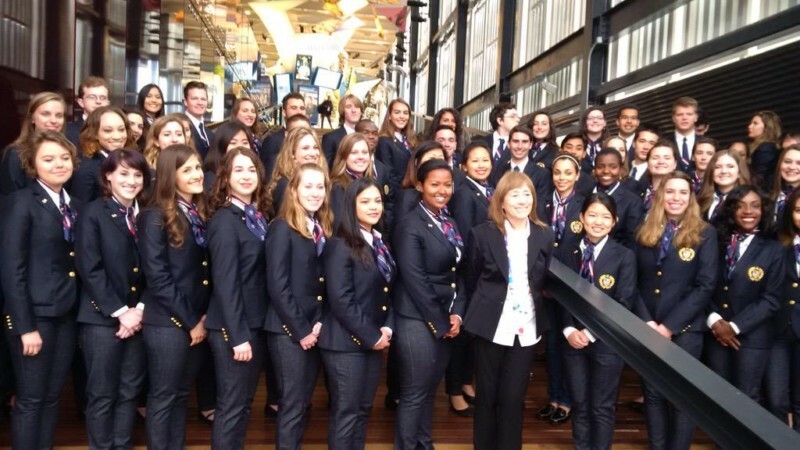 A central component of the ceremony featured the U.S. Student Ambassadors; representing 94 American universities and serving as docents of the USA Pavilion, the students greeted visitors upon their arrival and guided them on a journey through state-of-the-art spaces. Seeing the pavilion’s 7,200 square-foot vertical farm, American Food 2.0 exhibits and SmartGlass roof, visitors were introduced to the innovation, science and technology at work in the United States to develop solutions for global food security and sustainability. Also opening its doors to Expo goers was the USA’s Food Truck Nation, located just a few paces away from the pavilion. This one-of-a-kind, edible exhibit features a series of food trucks offering regional American street food such as vegetarian hamburgers and lobster rolls. Those interested in getting a more gourmet taste of American Food 2.0 can reserve a seat at the James Beard American Restaurant at Seven Stars Galleria, located in the heart of Milan inside the historic Galleria Vittorio Emanuele II. Serving as the centerpiece of the USA Pavilion’s culinary programming, the highly-anticipated restaurant features a rotating roster of renowned American and Italian guest chefs offering deluxe five-course meals. For reservations and the complete calendar of chefs, visit www.usapavilion2015.net/schedule. 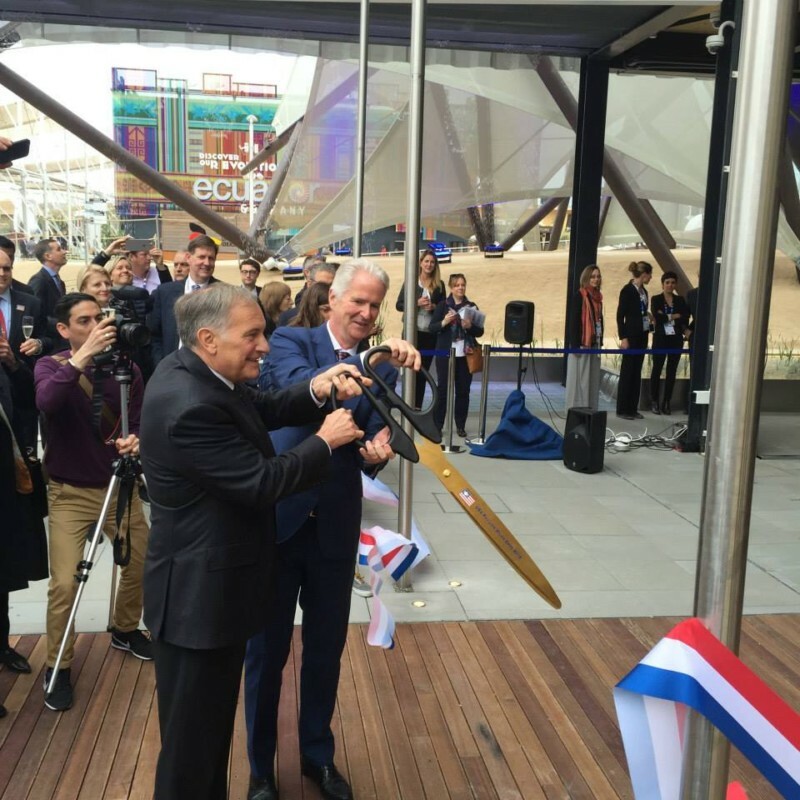 The USA Pavilion’s grand opening ceremony also included a performance by the United States Marine Corps Color Guard, followed by the United States national anthem and remarks from several U.S. dignitaries, including U.S. Consul General to Milan Philip Reeker and Ambassador Douglas Hickey, Commissioner General of the USAPavilion at EXPO 2015. The evening continued with a private reception on the pavilion’s rooftop terrace, where sponsors, partners, U.S. government officials, and other special guests gathered for a special celebration toast. “As United States Consul General in Milan, I am particularly proud to be here today at the opening of this global conversation. Milan is the place to be this year, and now you can see why. 2015 is also the year that the U.S. Consulate General in Milan celebrates its 150th anniversary. 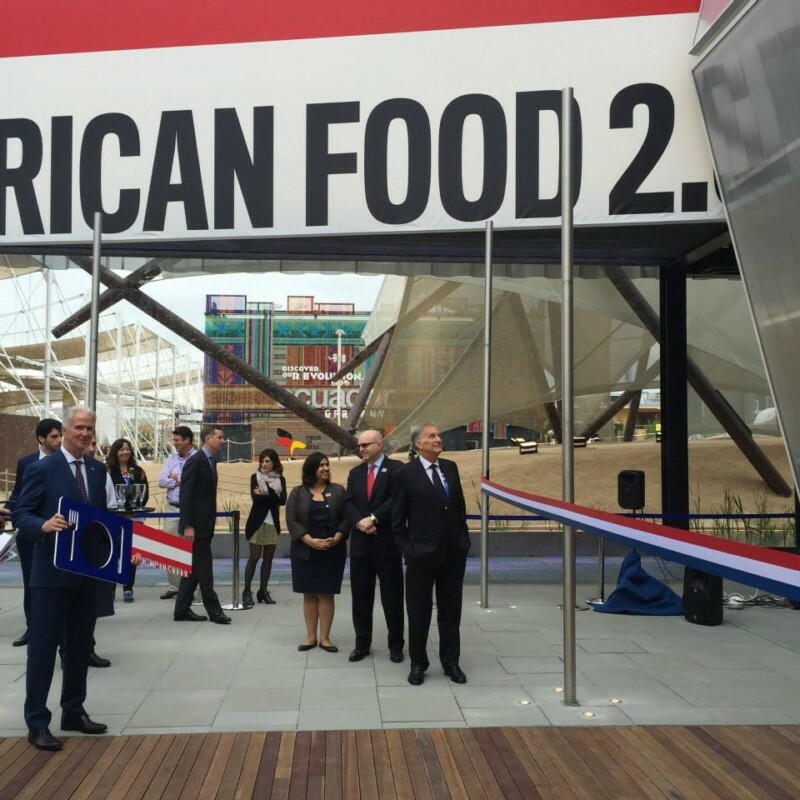 The Expo certainly makes a great birthday party, and this USA Pavilion is a birthday present we’re proud to share with you all!” U.S. Consul General to Milan, Ambassador Reeker said.